Yes, it's been a while since we've updated. Things have been a little crazy around the shop lately with lots of jobs for special events as well as sewing classes. A few weeks ago we had a request from some little friends of ours (12 and 14 year old boys) to make them replica costumes of Sergeant Peppers Lonely Hearts Club Band. 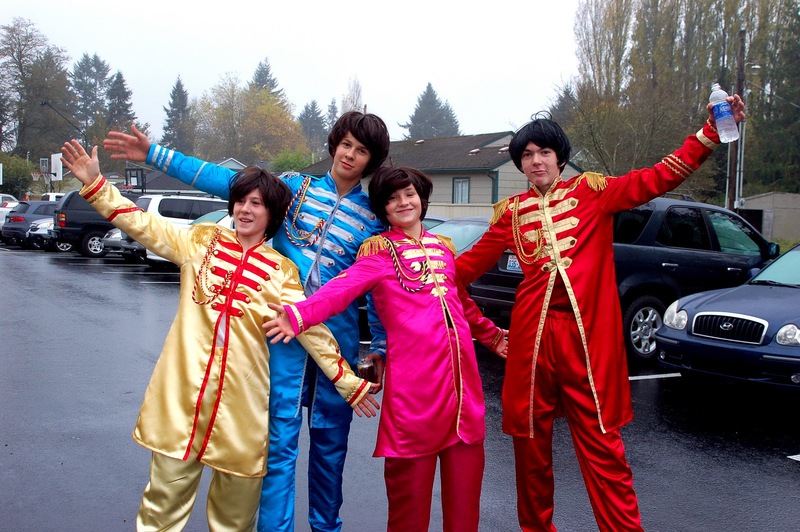 They were going to sing some Beatles songs at an upcoming wedding and just had to look the part. We couldn't resist this job! The boys were so excited and couldn't wait to see the costumes come together. Everyday after school they would come over to the shop and check on the progress of their costumes and were thrilled every time. 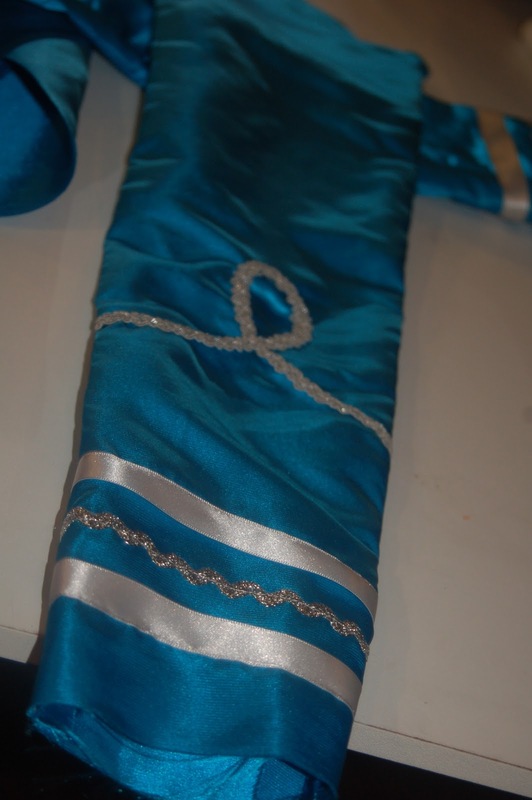 We added our own "designer additions" to the costumes to give them that extra touch of realness. 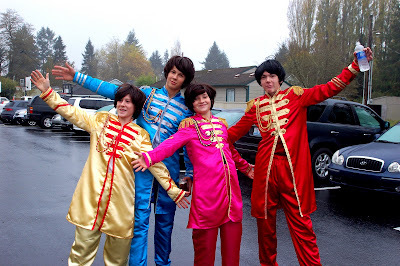 Well, Saturday they performed their songs and I must say, everyone was delightfully surprised at the boy's costumes. All in all it was well worth the time spent to make these costumes. So here are few progress pictures and some of the boys in their costumes. Enjoy! a little trimmings make these coats sparkle! as you can see they thoroughly enjoyed dressing up! 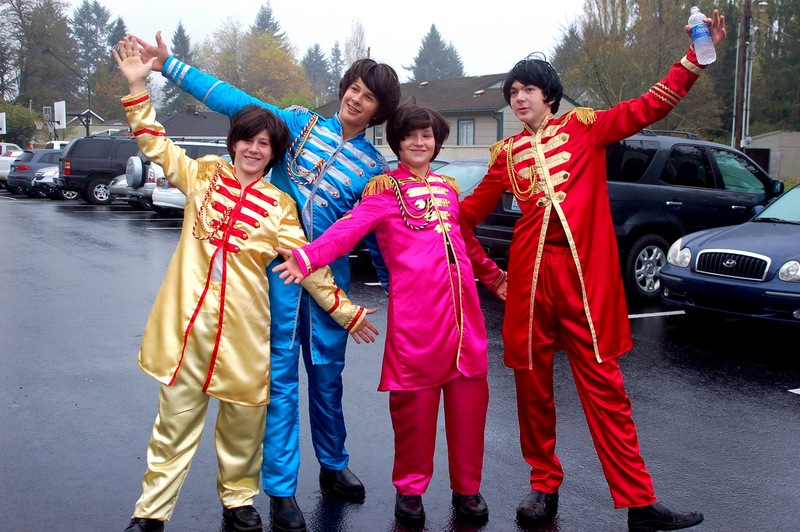 and of course they had to do a typical Beatles pose. Let us know if you have custom costumes you need made! They look hilarious with their fake hair! You should post a clip of them singing in their costumes!